Open to Georgian Bay Club Members and the Public! 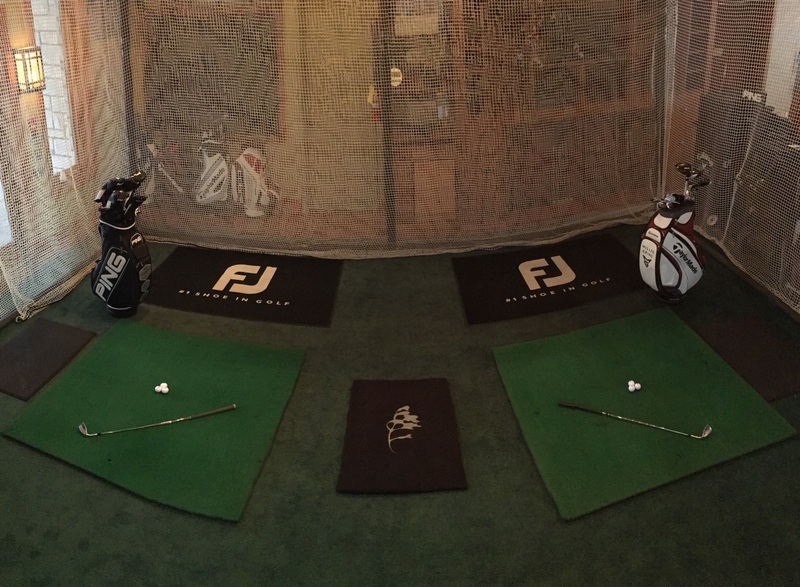 Based on the success of the 2017/18 Winter Season and back by popular demand, for this winter Teaching Professional Gary Jeffrey has once again transformed The Georgian Bay Club Golf Shop into an indoor instructional based learning centre with two full swing hitting stations. Gary and fellow Teaching Professionals will be offering full instructional, coaching, and club fitting sessions, with SkyTrak, TrackMan Pro, V1 Video, Blast Motion Swing & Stroke Solution, and OptiShot2 Golf Simulator technology. If there is an optimal time of year to improve your technique and consider some new equipment, it is during the winter season! Take advantage of this practice and learning opportunity to improve your game throughout the winter months. This is the best time of year to sharpen your full swing and putting techniques to ensure you start the season fully prepared! Until Saturday, March 30th, students may book 4 week training programs or individual sessions via email at golfshop@georgianbayclub.com. Within 24 hours, your coach will contact you directly to confirm your appointment(s) and send you a Golf Shop TT Confirmation with the names in your party. *4, 8, 12, 16 Week Programs include unlimited coaching. All sessions are available 7-days a week and are by appointment only. All sessions expire March 30th, 2019. Junior Program Offerings & Hours of Operation ~ New This Winter! Until Saturday, March 30th, Juniors (aged 18 years and under) may book 4 week training programs or individual sessions at a 40% discount by contacting The Golf Shop via email at golfshop@georgianbayclub.com. Within 24 hours, your coach will contact you directly to confirm your appointment(s) and send you a Golf Shop TT confirmation with the names in your party. Junior Friday Night Group Program Offering & Hours of Operation ~ New This Winter! On Friday evenings, Junior Group Programs are also offered to a maximum of 4 students per class. Program Times will run from 4:30pm to 5:30pm for beginners (new to golf) and 6:00pm to 7:00pm for intermediates (have had previous instruction). These Group Programs will be focused on engaging students in fun games, discussions, and friendly competitions. Each week will have a different theme, and to ensure maximum benefit all sessions should be attended. Each 4 Week Program is $100 plus hst per student and will follow a similar itinerary (Week #1 - Driving, Week #2 - Wedge Play, Week #3 - Irons & Club Selection, Week #4 - Putting). To register, please contact The Golf Shop via email at golfshop@georgianbayclub.com.